King’s amendment was inspired by “conspiracy theories and fears that the Bush administration was undermining those trying to protect the border,” according to BuzzFeed’s Evan McMorris-Santoro’s sources. His reporting also suggests that the amendment was innocuous. Sanders campaign strategist Michael Briggs told BuzzFeed that the amendment was meaningless, citing a message from Customs and Border Patrol. “People put forward nuisance amendments all the time,” Briggs said. Yet progressive websites have written about Sander’s 2006 vote since at least July when Spandan Chakrabarti wrote an article entitled “Bernie Sanders and the Minuteman [sic] Militia: Progressive Hero’ Voted to Protect Racist Vigilante Border Thugs.” The article, aimed at progressives participating in the Democratic primaries also takes Sander to task for voting down a measure that would have allowed. The Latin Times has reached requested additional comments from the Sanders campaign. We’ll update this article if we get a response. Sanders does have a race problem in the polls. He lags his main rival, Hillary Clinton, in favorability among Latinos and is about tied when it comes to African American support. Perhaps differences between Democrats positions on immigration are only a minor concern. The Senator would certainly prefer less attention to cultural wedge issues, ISIS, and more headlines about his positions on poverty reduction and campaign finance reform. If his past votes on guns and immigration are a stain on his record for progressives, his present policy proposals on immigration, prison reform and banking regulation may help wash them out. 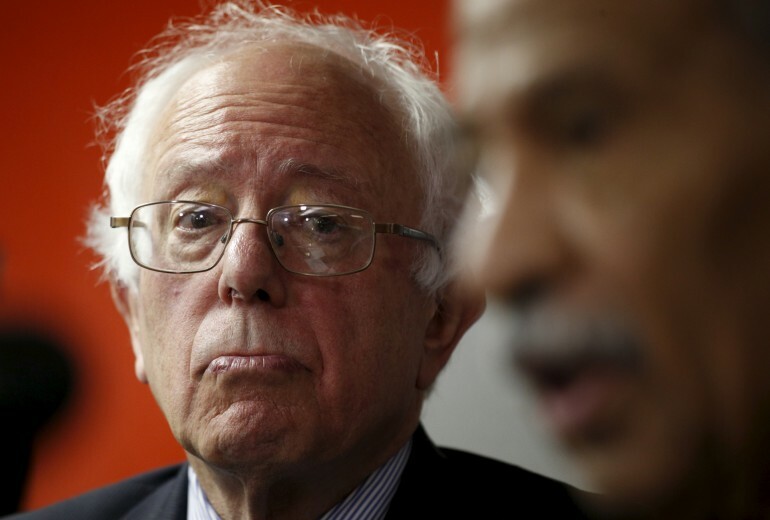 Did Bernie Just Release The Most Ambitious Immigration Plan?